Nearly 85% of dry eye patients suffer from meibomian gland dysfunction or MGD as the source of their dry eye symptoms. 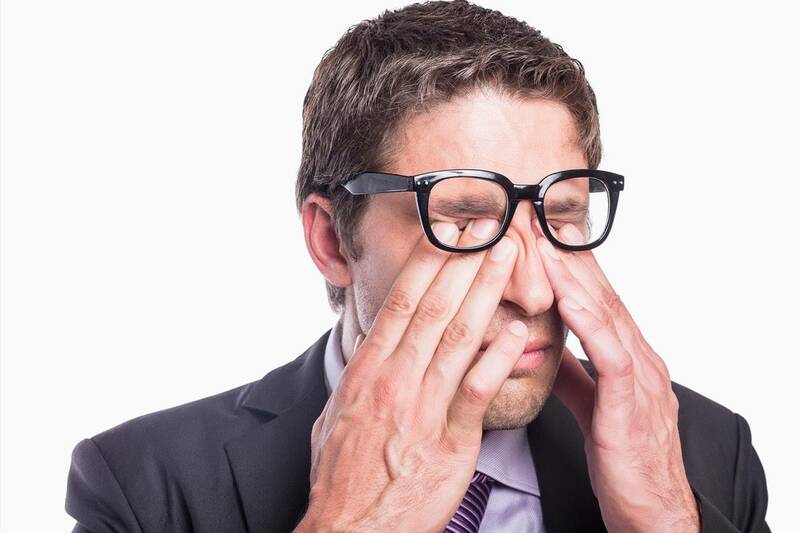 LipiFlow offers the most effective dry eye treatment for MGD. Corneal Cross-Linking not only halts the progression of keratoconus, but in some cases reverses some of the steepness of the cornea. Learn about this rare, progressive disease that affects the cornea, which is the clear, transparent layer at the front of the eye. Correct, enhance, or protect your vision. 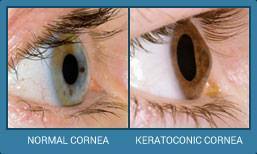 KERATOCONUS is a progressive eye disease that gradually causes thinning of the cornea, the front surface of the eye. 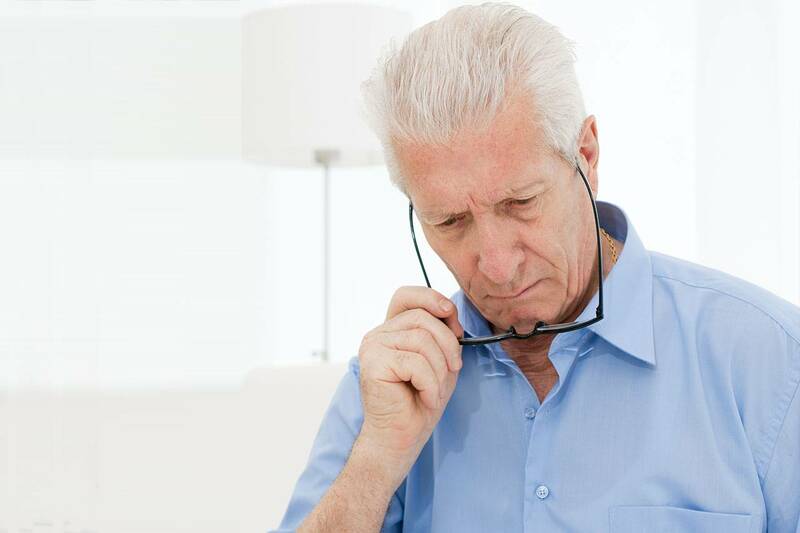 As keratoconus progresses, the quality of the patient's vision deteriorates and contact lenses or glasses no longer become a satisfactory solution for most people. At the Turner Eye Institute Dr. Chirag Patel specializes in the treatment of patients with keratoconus and can offer a variety of services to improve the patient's vision and quality of life, like Intacs, Conductive Keratoplasty (CK) and Corneal Cross Linking (CXL). At one time, an invasive corneal transplant was the only option for treating keratoconus. Today specialist surgeons are increasingly using intacs for keratoconus as well as a variety of new methods. Intacs are prescription inserts and are an exciting new option between contacts and a corneal transplant that may be the best possible option to stabilize the cornea and improve vision for people with keratoconus. Intacs for keratoconus are indicated when contact lenses and glasses are no longer suitable. Turner Eye Institute has been using intacs for keratoconus since the treatment was FDA approved for treatment of keratoconus in 2004. Dr. Stephen Turner was among the first surgeons in the country to use this type of treatment for keratoconus and has had excellent results. Using intacs for keratoconus offers an exciting new treatment for a disease that can often be both difficult to detect and even more difficult to treat. Within the website, you will find a discussion of available options for people suffering from keratoconus. While Turner Eye Institute offers intacs for keratoconus, there are other possible treatments like Corneal Cross Linking (CXL) and Conductive Keratoplasty (CK) and it is important that you discuss these options with a trained corneal specialist like Dr. Patel in order to receive the best possible advice and possible treatment. 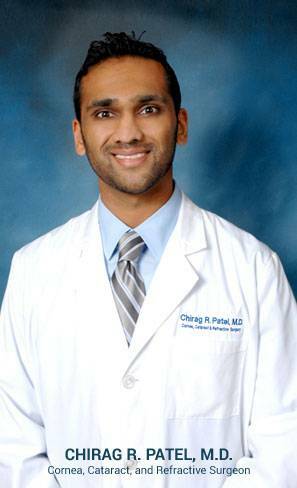 After a complete eye exam, Dr. Chirag Patel can discuss with you the best possible method for treating keratoconus. 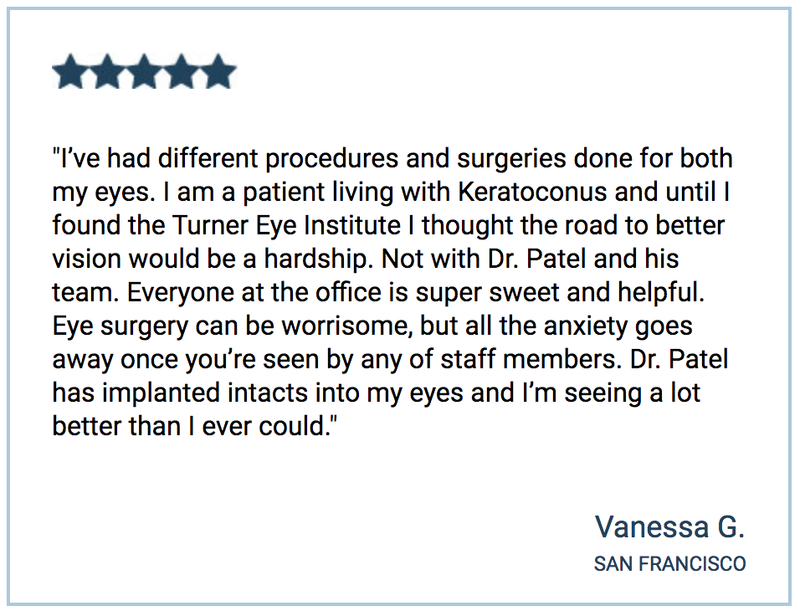 In cases where keratoconus has progressed substantially, Dr. Patel might recommend intacs for keratoconus. In cases with less progression, other options like Corneal Cross Linking CXL) might be presented. 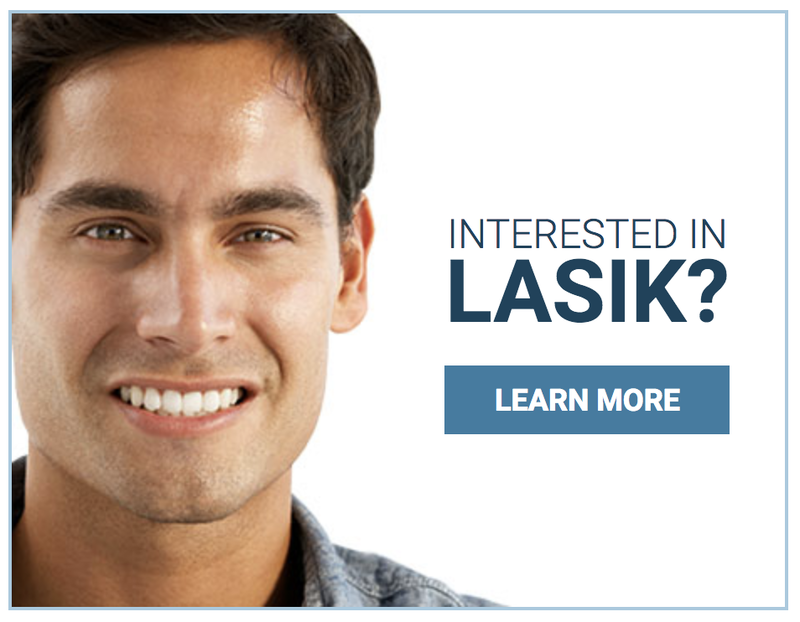 procedure to correct, enhance, or protect your vision.